While this recipe for tempura batter is easy to prepare, there are several key points to keep in mind while making the batter. 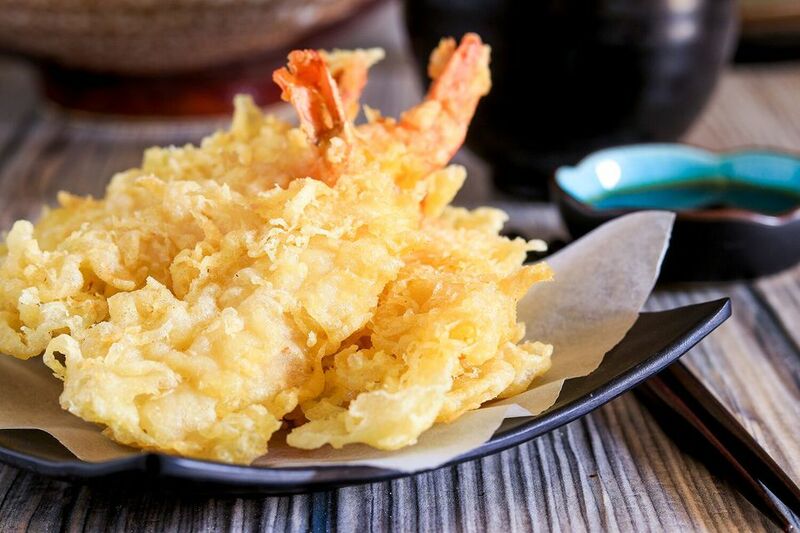 Follow the tips below for making the best tempura batter and tempura recipe. Add the sifted flour into the bowl with the egg and water mixture and lightly combine the flour using chopsticks. Be careful not to over-mix the batter. The batter is now ready for immediate use. If for some reason the batter won't be used immediately, place it in the refrigerator temporarily (for a few short minutes) to keep it ice cold until you're ready to deep-fry your tempura. Otherwise, we don't recommend storing it in the fridge for an extended period of time. Use in your favorite tempura recipe and enjoy! Before you begin, make sure that you have all of the items you plan to coat and deep fry with the tempura batter prepared (for example, vegetables, shrimp, fish, etc.) prior to mixing the batter ingredients. Always sift the flour. This makes the flour lighter and easier to incorporate into the batter when it's mixed. Try using chopsticks to mix the ingredients of the tempura batter together instead of a whisk, to minimize air and risk of over-mixing the batter. Tempura is a very popular Japanese dish of deep-fried vegetables and seafood that is coated in a very light and airy batter that is fried to perfection. It's served at Japanese restaurants worldwide but also is a common dish made in home kitchens. In Japan, you'll often find specialty restaurants that only serve tempura.